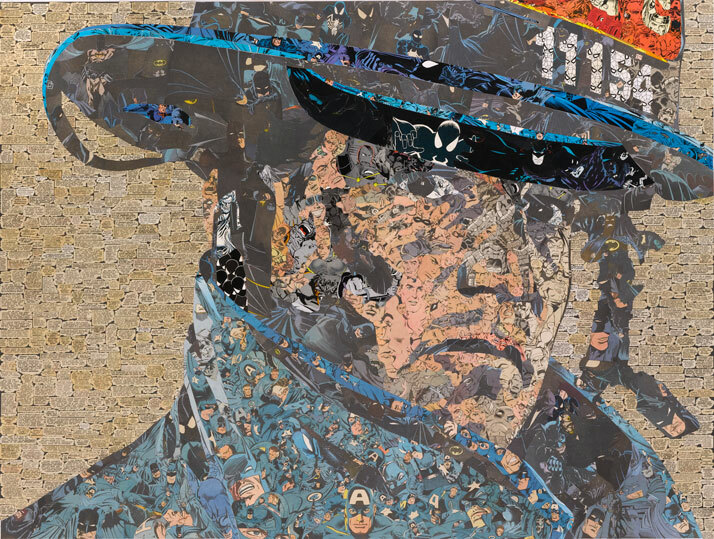 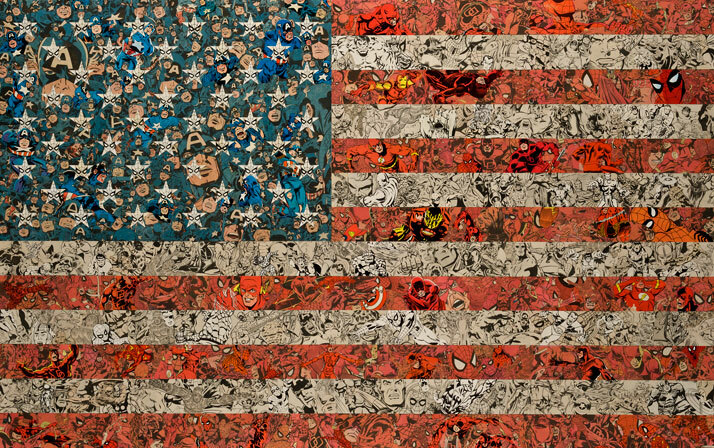 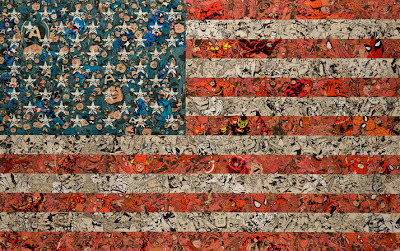 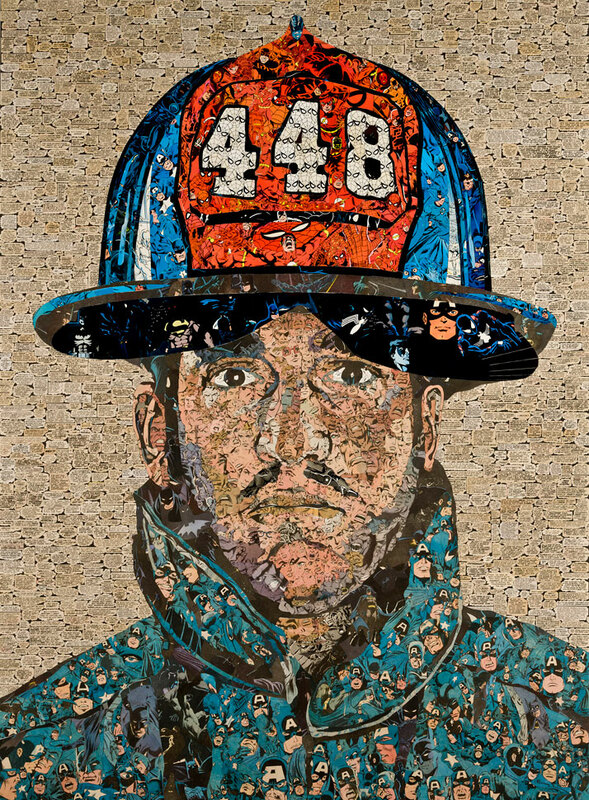 To mark the ten year anniversary of 9/11, London based artist Ben Turnbull created collages featuring ficitonal superheroes we can recognise (look a little closer). 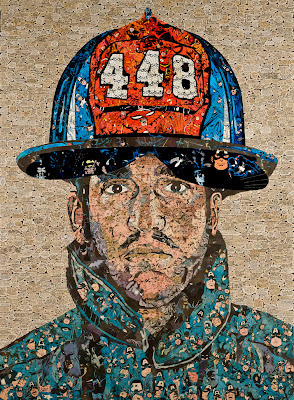 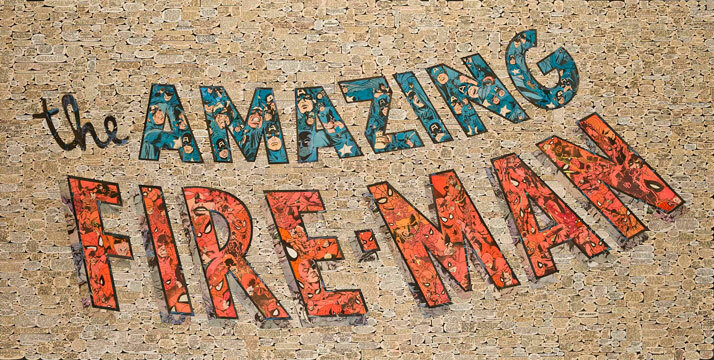 They were made to commemorate real life heroes, the firemen and policemen of New York City. 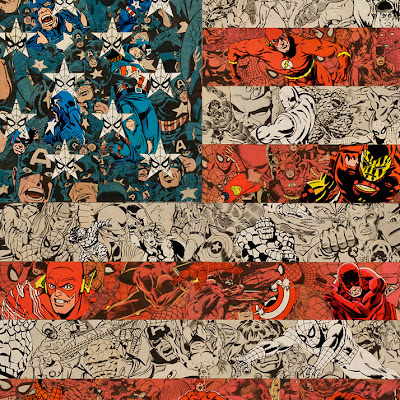 I like Turnbull's use of vintage comic books and how the prominent colours used really represent American patriotism. 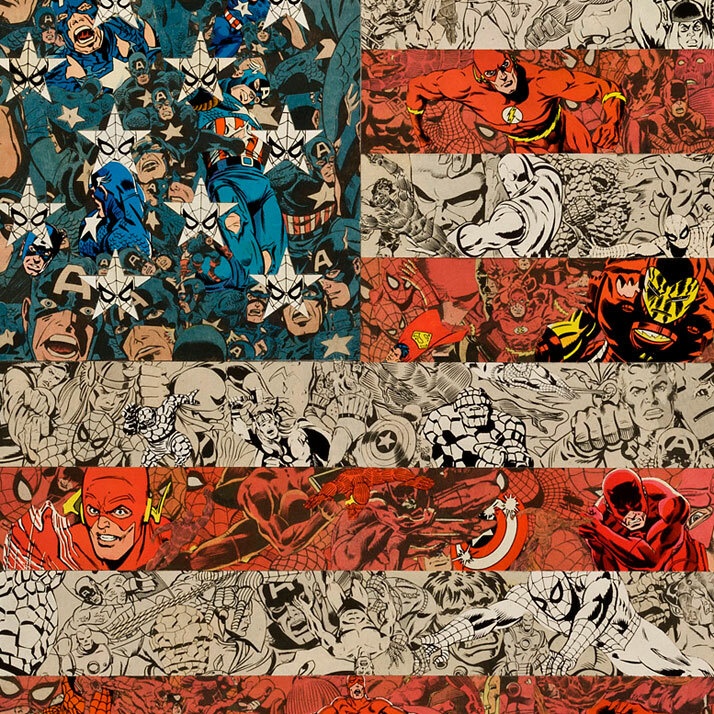 "Superman didn't fly down to save the falling buildings, there was no caped crusader ready to do battle with the arch-enemy and Spidey didn't spin his web. 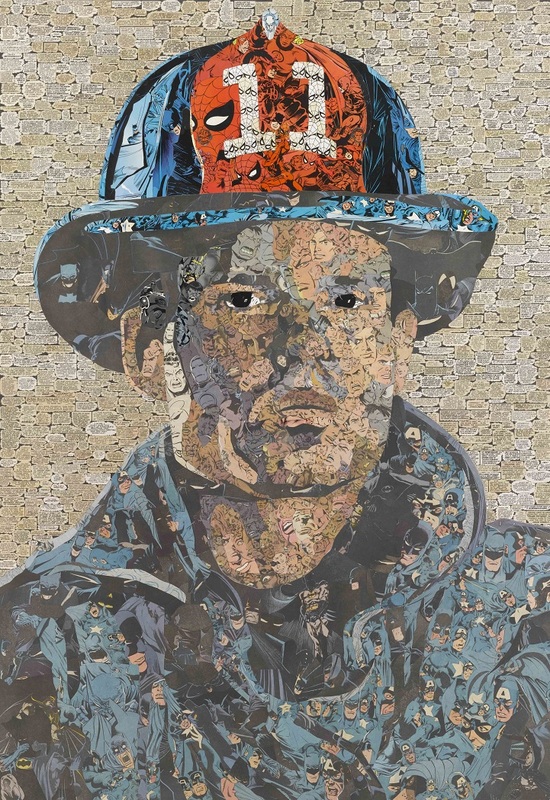 Without the need of a phone-booth or a revolving door, these true patriots donned their iconic costumes and sacrificed life and limb for what they believed in." 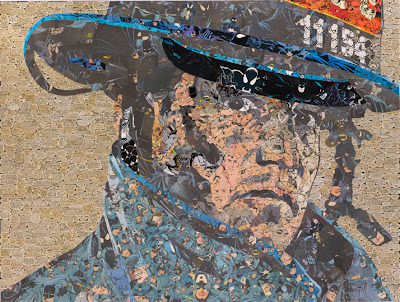 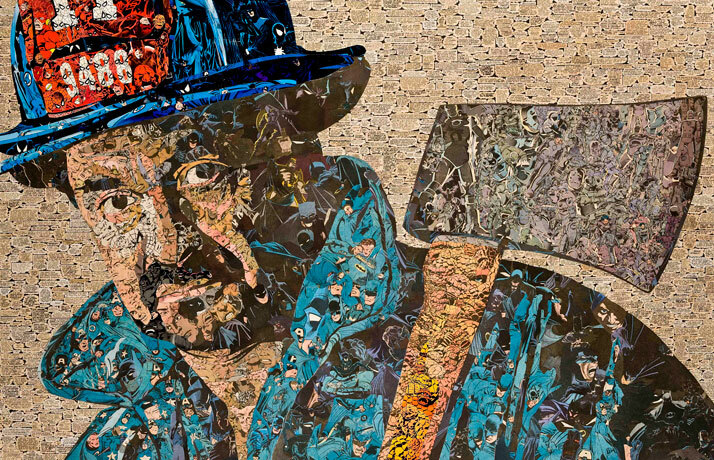 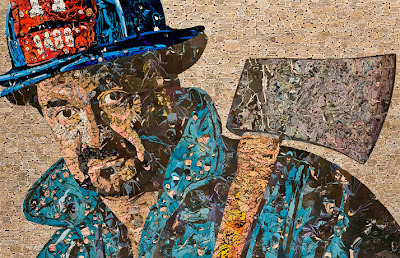 "Supermen - an Exhibiton of Heroes" is being exhibited at Eleven Fine Art in London from now until the 22nd October 2011. If you have some time I encourage you to go and see it.